Carefully formulated and bottled by hand, Dr. Woodwell's Wood Elixir is not yet available for mass distribution. At present, only a select group of dealers carry Wood Elixir in Ontario, Hawaii, and online. Wood Elixir produces exceptionally high customer loyalty and repeat sales, as results are often dramatic and the product is unique and exclusive. Wood Elixir lends itself as a natural upsell and impulse item for your store. If you are interested in selling Wood Elixir through your retail store, please complete the Dealer request for more information. Woodwell Products has recently started to offer drop-shipping services, allowing website and blog owners the opportunity to offer Wood Elixir to their customers. Please fill out the Drop-ship / Affiliate request for more information, including your website or blog URL. 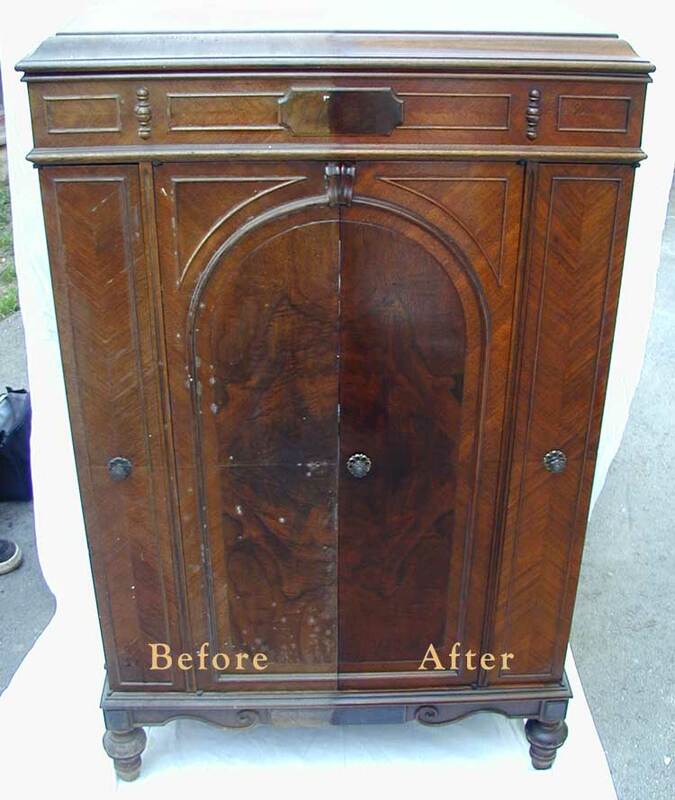 Buy and restore antiques and wood furniture - buy low, restore with Wood Elixir, sell high. No special skills are required to restore the beauty and value in antique and wood furniture using Wood Elixir (just a bit of practice). With just a little experience, you'll learn to recognize pieces where pennies of Wood Elixir can increase an item's value dramatically. Mobile Furniture Repair - Wood Elixir is one of the best-kept secrets when it comes to wood furniture. Through inexpensive advertising and word-of-mouth advertising, you can repair many many common furniture finish problems right in the customer's home! Markets / Shows - Since Wood Elixir often takes only a few moments to produce dramatic results, it makes an ideal "show & sell" item. Make sure your customers also take information on how to contact you - repeat/refill orders are the norm, not the exception! Following a successful trial, Woodwell Products is offering a drop-ship program for website and blog owners who wish to offer Wood Elixir to their readers and customers. For more information, simply complete the form below or call us at 1-877-354-9748.